I was watching BBC TV the other day (Graham Norton, to be exact), and he showed a Google search comparing how often his name was searched compared to Justin Bieber. It was not surprising that Justin Bieber won that search, but it got me thinking about this new Google product. Would it show the increased interest in genealogy? I found it funny that some people still don't know how to spell genealogy (No. 3)! And, according to the top searches above, my search term "genealogy" was not even in the Top 10. Two of the top searches included the word "free," which I agree is lovely to find when you are researching your genealogy. It was also interesting to note that some people associate genealogy with the LDS faith (No. 9). Coming in 3rd and 7th place was again the "free" word. More importantly is the fact that the rising searches shows healthy searches for all-things genealogy, some exceeding 200%. Is interest in genealogy is waning? I think not. My simple conclusion is that since 2004 more people are aware of family history and genealogy, but are just more sophisticated Googlers. And, there are more of us to boot. What do you think? For some, family history research may seem overwhelming! The following general principles can help make family history research "doable." These principles apply no matter what part of the world your ancestors lived in. 1. Choose a family or individual to learn about. 2. Write down what you know about the person or family. Find out what others may know about these people. 4. Look for the most recent records in an ancestor’s life, and work back in time. Although you may be looking for birth or christening information, you may find this information in a death, obituary, or cemetery record. 5. Learn something about the area where the ancestor lived. If you know the name of the village, county, state, parish, or diocese where a person lived, it will be much easier to find records about your ancestor. 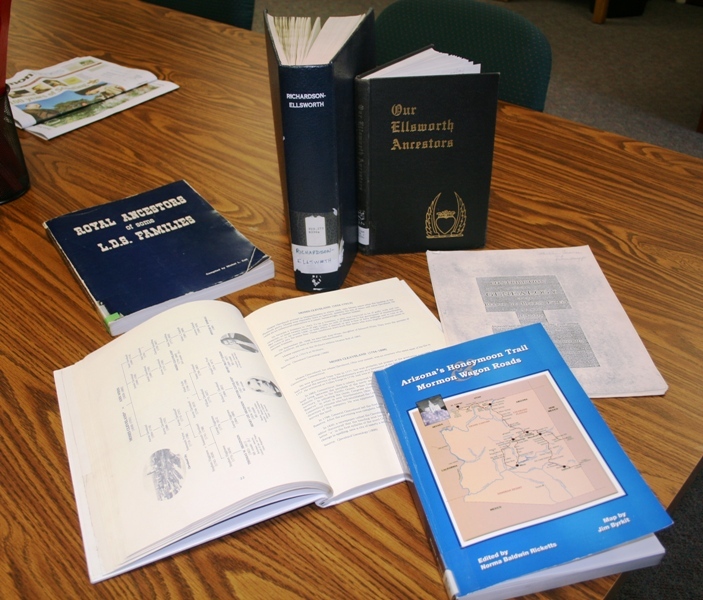 A topographical dictionary or gazetteer is a good place to start learning about an area. 6. Obtain and search the record that may contain the information you want to learn. You can do this at the Phoenix Family History Center, or from the comfort of your own home if you have internet access. 7. Use the information you have found. Evaluate the material by asking questions about how the new information fits with what you already know. A. Did you find the information you were searching? B. Is the information complete? C. Does it conflict with information you already have? I have more tips for beginners here. As always, if you are in the Phoenix area, there are Family History Consultants to help you at the Phoenix Family History Library at 3102 North 18th Avenue, Phoenix, AZ 85015-5811, 602-264-2825. Or, visit any of the LDS Family History Centers in your area (find a library in your area here). Labels: Beginner, Where Do I Start? 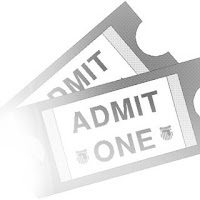 January 3, 2011 Update: Congratulations to Janet Carruth, winner of two free tickets to the Arizona Family History Expo! 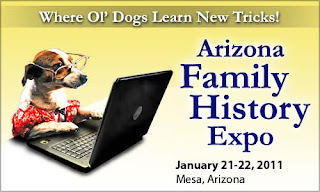 The Arizona Family History Expo is coming on January 21-22, 2011 to Mesa, Arizona! Come join us for two days of genealogy and learn about researching your family history from expert speakers. Try out the latest genealogical tools in the Exhibit Hall. Whether you are a beginner or a professional, come learn the tech to trace your roots! I am also honored to be speaking at the Expo on Saturday. My topic will be "Google Tips & Tricks to Find Those Genealogy Treasures." I hope to see you there! 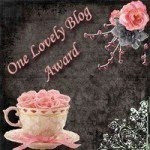 In addition, I am going to be a Blogger of Honor! As a Blogger of Honor, I have two free tickets to give away for the Expo. If you would like to enter the drawing for these two tickets (value $150 total), please send me your name, email address and phone to the email address listed on the Profile page of my blog (click here) before January 1st. Drawing will be held January 2, so get your entry in now! 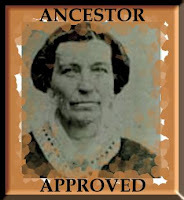 To learn more about the Arizona Family History Expo on January 21-22, 2011, go to www.fhexpos.com or call 801-829-3295. Early Registration is $65, and Door Registration is $75. You can also choose to register for one day ($40) or you can just attend a few classes ($12/class). If you have ever done research and find that the records you need are on microfilm, the usual routine was to go to your local Family History Library and order the microfilm from Salt Lake. A few weeks later the microfilm roll would be delivered to your local library for you to search. Now - that process is going to get a whole lot easier. Announced on October 7, 2010, FamilySearch also published its first digital Chinese collection, along with additional digital image collections from Belgium, Germany, Guatemala, Mexico, Netherlands, Philippines, and Puerto Rico. Twenty million additional indexed records were also published for Civil War and Revolutionary War collections and the 1851 Census for England and Wales. While we are waiting for these records to be indexed, search them in the comfort of your own home online - it might just save you a trip to the library (and the cost of ordering a film). "What does King Henry VIII, The Civil War and Abraham Lincoln have to do with this Englishman?" This is the first question my husband posed to our audience at a recent "getting to know you" party/church social. Even though some were already enamored with my husband's strong Yorkshire accent, there was curiosity in this Arizona audience of how an Englishman could be connected to Abraham Lincoln and the Civil War, let alone King Henry VIII. My husband spoke with pride about his family line, but none of this information would be known had he not got the genealogy bug after being inspired by my research. My husband was born in Yorkshire, England, and me being a typical American that I am, I just thought that I would find my husband's family linked to some Royal line eventually. It never happened, and all of those 840 people I did find were mostly just commoners (or peasants, as his Dad used to joke). I did have some close calls, like finding an illegitimate son of a wealthy lawyer with the last name of Carwardine. It turns out the Carwardine family was quite famous, even somewhat linked to King Henry VIII. No - not a direct royal link, but Carwardine was a beloved tent keeper for King Henry VIII, to whom he bestowed a castle (which looks like a manor, not a castle). In any event, it was fun reading and made for a good story. This story sat dormant for a couple of years until we had to do our presentation at the church social. My husband spent four days preparing for his portion of the presentation, and I didn't know what he was doing during all that time. I later found out he had taken my Carwardine research and dug a little deeper, finding a Carwardine ancestor (cousin) from Essex who crossed the Atlantic to fight for Lincoln and the North. Here's the article on John Carwardine: "An Essex Man in Lincoln's Army." Needless to say, I was impressed by my husband's research, and proud! And, I learned that there were many British who fought in the American Civil War. Has the genealogy bug really bit my husband? Well, it did for a while, until I find another ancestor somewhat close to royal lines! If you have ancestors who were in the Civil War, you might want to include in your research the American Civil War collection at Alexander Street Press. Some of Alexander Street Press's collection is searchable online, but not all of it. However, the LDS Family History Centers offer free access to three critical databases via their FHC Portal (below). What's on the Alexander Street Press site pertaining to the American Civil War? 1. Civil War Research Database. It is the definitive online resource for researching the soldiers, regiments and battles of the American Civil War. The database is indexed, and searches over 4 million soldiers, thousands of battles, together with 15,000 photographs. It also includes the military records for every soldier in the collection as well as Official Records, pension index records, 1860 census records, Grand Army of the Republic (GAR) records, Roll of Honor records, Medal of Honor records, and regimental histories. Information has been compiled from personal items, graveyards and newspaper reports. 2. Civil War Images, Photographs, Posters and Ephemera. Alexander Street Press has partnered with the American Antiquarian Society, the Virginia Historical Society, the Library Company of Philadelphia and the New York Historical Society, and at completion the collection will present 50,000 images. These images document the camp and battle experiences of Union and Confederate soldiers of all ranks, time spent in hospitals and prisons, civilian life, etc. What is "ephemera?" Collectible items that are not otherwise classified, but most interesting, like the card below (which is quite funny for its time). 3. Civil War Letters and Diaries. This section contains 2,009 authors and approximately 100,000 pages of diaries, letters and memoirs. It includes 4,000 pages of previously unpublished manuscripts. The collection also includes biographies, an extensive bibliography of the sources in the database, and material licensed from The Civil War Day-by-Day, by E.B. Long. How did the Alexander Street Press help me? I did a search of a couple of my ancestors whom I knew had been in the Civil War (one for the North, and one for the South). I could not find any information on my Yankee ancestor, but I did find some information on my Confederate ancestor, Gad Morris. It had his enlistment information (Private in C Company, 40th Infanty for Georgia), including his capture and POW status following the battle of Vicksburg, MS, on July 4, 1863. He was released 2 days later, and somehow ended up a POW again about a year later. On July 27, 1864, he signed an Oath of Allegiance at Louisville, KY, and was to remain north of the Ohio River. I knew most of that information, but what is great about this site is I was able to find a historic photo of Vicksburg and the steamboats used to transport men and supplies (see below). I also found the entire account/report of the "siege" of Vicksburg that occurred from May 18 to July 4, 1863, where Gad Morris was captured. It was sobering to read that some 31,600 were captured as prisoners of war, and that the North lost 763 soldiers, and the South lost 1,260. There were almost 7,000 injured in total for both the North and South, and about 162 were listed as missing from the North. The fall of Vicksburg opened the Mississippi to the Federal armies coming just at the same time as General Lee's defeat at Gettysburg -- both marking the turning point in the fortunes of the Confederacy. I would suggest you include the Alexander Street Press when researching your American Civil War ancestors -- you'll never know what you'll find! I soon learned that my new best friend became the ol' manila envelope. Yes I tried file folders, but nothing like the secure edges of a manila envelope to house (and haul around) your treasures. Read on and you'll see why. Unidentified photos - and there will be many if you don't start soon! I later added electronic file folders on my computer hard drive that mimic these same manila envelopes and their contents. It was a simple method, but I soon realized I needed more envelopes. Regardless, since it was so simple it was easier to just get started. Sometimes that's the hardest part - starting the project! As I would collect information in the envelopes, I loved how transportable the envelopes became. I would take those envelopes to family reunions, weddings, funerals, etc., and would ask cousins and ancestors to help identify ancestors. (Always keep a pencil handy to write on the back of your photos.). And, I would turn over those manila envelopes to the recipients named therein as well. What a nice present to give them photos of their loved ones. In fact, one family actually had a house fire and lost all of their photos many years ago, so my little manila envelope turned out to be a family treasure to them. I still maintain all of these manila envelopes to this date, though the contents may have changed over the years (as I give away photos, etc). My only regret: not thinking I'd need copies (or digital images) of all of the photos in those manila envelopes. Now, I make sure every photo is scanned and processed to an identical electronic file folder for safekeeping before I give away original photos. Lessons learned. I am also now uploading digital photos to ancestry.com under my family tree. Sharing the photos on ancestry.com has helped me connect with many more extended cousins. It is nice to receive emails from relatives who have never seen these items before, and share in their joy. Sure - manila envelopes may not be the answer for you, but it worked well for me. Get the larger manila envelopes too -- 10 x 13 is sufficient to start. And, these manila envelopes can become the precursor for future scrapbooking projects or family histories (if you are so inclined). It's a great place to start, and that's the point -- get started! In full disclosure, I started using affiliate links such as Google AdSense and Amazon.com. From time to time you will see items I may discuss or suggest, and I may receive compensation from these links. It is amazing what you can find at your local family history library. You may think your small library may not have much to offer, other than the free access to pay database sites. However, in researching an article for the Phoenix Family History Center Library, I was amazed at what other items are available for our patrons - especially published family histories. Here's a few treasures I'd like to share with you. 1. 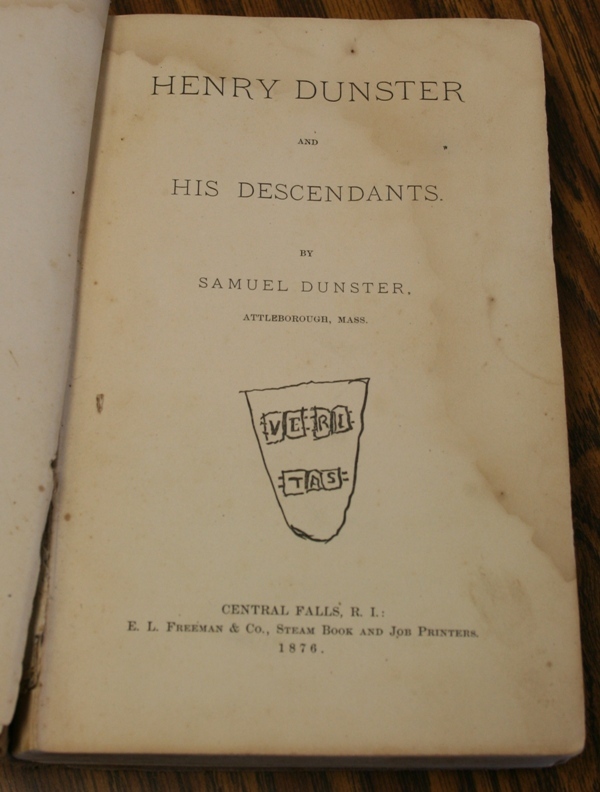 A book published in 1876, "Henry Dunster and His Descendants," by Samuel Dunster of Attenborough, Massachusetts. I did confirm that this book is scanned into Google Books, but to think we have a hard copy from 1876 in our library is amazing to me. 2. "Our Ellsworth Ancestors" - this is a book I am very familiar with, as many of my ancestors are in this book. I first found this book on Google Books a couple of years ago, but I had no idea our library had a copy. (To think I've been working in this library for 5 years -- shame on me!). 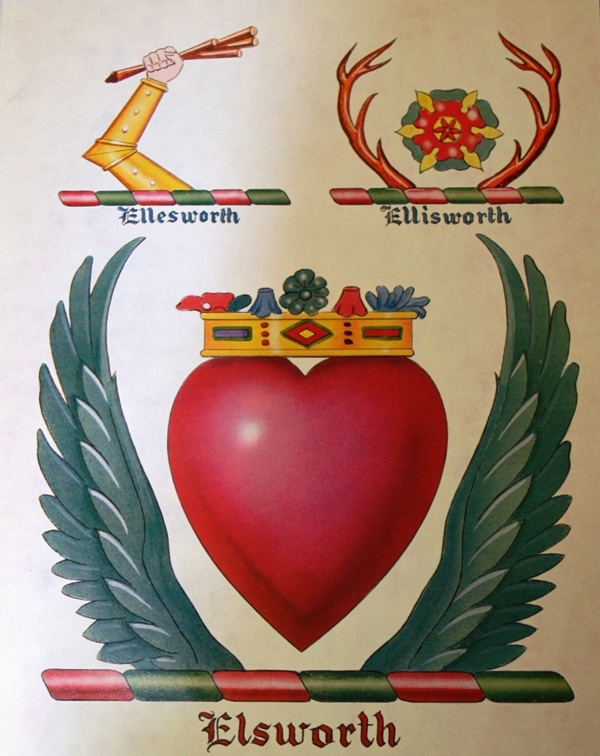 It was so nice to preview it and find color images of the Ellsworth crest, which I photographed for my history. 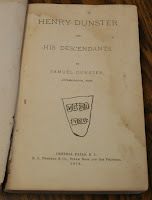 In fact, I actually found six different books that contained information on several of my ancestral lines. I now have more resources to review to supplement my family history. 3. One of my favorite finds, though, was a handmade book called: "Autobiographies of the Six Allen Sisters." Unlike the previous treasures mentioned above, I could not find this "book" anywhere on the internet or at worldcat.org. It was a wonderful book of the biographies of six Allen sisters, complete with a photograph of the sisters. I wonder how many Allen descendants would like a copy of this book? Looks like I need to scan and post it on the world wide web. Libraries receive donations daily of books and published family histories left behind by descendants who don't appreciate their value. Several might be self-published books such as the book on the Six Allen Sisters. I suggest you consider a trip to your local family history center to see what might be available on your family; you'll never know what you might find. FamilySearch.org has expanded its collection of research aides by adding many online classes (videos) to help you with researching your family history. Best of all, these online classes are free! There are classes in beginning research to classes on thinking creatively about your research problems. There are classes on searching Indian genealogy, military records, courthouse records and census records. There are even classes on how to read handwritten records in Dutch, French, Latin, Italian and other languages. Their selection of videos on researching internationally is excellent, with classes for England, Germany, Ireland, Italy, Poland, Mexico and other countries. To access the classes, go to FamilySearch.org, Research Helps, Online Classes. 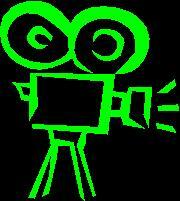 Videos average 30-45 minutes in length. Even though I have been doing research for a while, I always learn something new! FindMyPast.co.uk recently updated their birth indexes and they are fully searchable (see image at right; click on image to enlarge). They cover the time period 1837 to 2006, and for all of England and Wales. Why use their index instead of FreeBMD or Ancestry? FindMyPast claims to have the most comprehensive index available. FindMyPast claims their images are crystal clear and easier to read, thus rendering better transcriptions. You can include spelling variations. This comes in handy to quickly see other variations of the surname you are researching. Advanced Search tab adds a District, so you can narrow your search. You have this same search available on FreeBMD. FindMyPast claims that Ancestry's indexing doesn't properly allocate the districts to the correct counties. Why I am writing about this? To remind you that ALL websites make mistakes in transcribing records, so checking different websites for the same information may help you find your lost relatives. And, all websites are constantly updating and improving their indexes to improve accuracy, so check back again at a later date. TIP: If you want to see the images from the FindMyPast site, you don't have to pay for them if you go to your local LDS Family History Center and utilize their FH Portal. However, I've found that viewing the actual pages of the BMD indices are not very helpful (see image above). You cannot rely entirely on when the births were recorded, so go to the source and order the actual birth record (see image below) from the General Register Office in England. It is nice you can order these online too, and you receive your certificate within a couple of weeks. Thank you for LostCousins.com for first reporting on FindMyPast's new index. I shall use it immediately! What I Do - or - What Are You "Packing?" One of my favorite blogs (geneabloggers.com) has asked users to supply information on "What I Do," or in geek terms, what hardware and other geeky things are you "packing?" You might think this list may be of interest to only true computer genealogy geeks, but I've found that when this type of information is shared, I always find new programs or websites to help me with my genealogy research or help me improve my computing skills. I like to look at these lists in the same light you would ever use the saying, "why reinvent the wheel?" Hardware: Dell with Intel Core 2 Duo CPU, 4 GB RAM, 500 GB hard drive. My computer is never "big and bad enough" for me, but unfortunately I do have a budget. Nevertheless, if you are going to be editing videos and working with a lot of images, just make sure you have lots of RAM, a fast processor (CPU), and a large enough hard drive to store it all (500 GB is sufficient). External Storage vs Online Storage (for backup): My main solution for all is Carbonite.com. It is relatively inexpensive and offers unlimited storage, and works in the background. I do have a second internal hard drive and I use flash drives, but I rely on Carbonite for my main backup. If my computer gets stolen or my house burns down, at least all of my information will be safely stored on Carbonite. Firewall, Virus Protection, Spyware: Norton 360. It's a hog, but it works. I might switch to McAfee some day, but for now, this works. I also use Spybot (free) for routine cleaning of spyware. File cleaner: CCleaner (free) and Spybot. Norton 360 also offers a similar feature (plus it reminds you to do it!). Phone, Mobile Media: iPhone 3G, 16GB. Although I am tortured by AT&T's coverage, I will never give up my iPhone. I love it! It does it all - mobile media, plays my music, surfs the web, sends/retrieves emails, and everything syncs with my Outlook address book and calendar. Media Player: I use both iTunes and Windows Media Player. Depends on what type of output music CD I need (my car stereo doesn't play MP3 files). eBook Reader: I'm a retro girl: hard copy with a night light. Internet Browser: Both Mozilla, Internet Explorer 8. Hackers love IE8 and they can lock you out from the internet (I know from experience). My solution: ALWAYS keep Mozilla loaded on your computer. If IE8 won't work, you can use Mozilla to get to the internet to start finding programs to fix your computer. Blog and Blog Reader: Mostly Blogger.com, but experimenting now with WordPress.com. I like Google Reader for reading my blogs. FTP: SendThisFile, but will now check out FileZilla (per geneabloggers.com posts on this subject). Graphics: Adobe Photoshop Elements, Publisher, Powerpoint, PicPick editor (see below). Screen capture: PicPick is free, and excellent! You can export to its editor, Word, etc., or to the clipboard. You can easily add markups such as arrows, circles, etc. Social media: Facebook.com (for family and friends), LinkedIn.com (for career), and Twitter.com for genealogy and fun. Facebook is wonderful for genealogy: I am constantly sharing my genealogy finds (via posts from my blog to Facebook). Social bookmarking: StumbleUpon.com. This is another one of those websites I learned of via geneabloggers. Very nice. Social profile: None yet, but I see that geneablogger.com's Thomas MacEntee prefers Retaggr.com. Looks like I'll be checking out Retaggr.com to learn more! URL shortener: Su.pr - absolutely necessary if you are twittering. Software for email, calendar: Microsoft Office products, Google's gmail.com -- all sync with my iPhone. Accounting: My husband (thank Heaven! ), Excel, plus I recommend QuickBooks for small businesses. PDF generator: Adobe Acrobat, but a good freebie is PrimoPDF. Genealogy tools: GenSmarts (excellent for suggesting research on your ancestors, also available at RootsMagic), AniMap (good for viewing county and state changes over the years, available at Legacy.com). I also use Ancestry.com's app for transporting my database files on my iPhone. Other tech stuff: Don't forget the online sites I use to extract online videos, convert movie files, etc: benderconverter.com and zamzar.com. I also use Audacity (a free program) to convert old cassette recordings of my ancestor interviews to digital files (also need the proper audio input cord). I use Premiere Elements for movie editing. Also, when I am searching for a review, a suggestion for a software program, or a website to solve my current computer dilemma, I turn to komando.com. She has already reviewed most sites and software and will never lead you astray. That's my geek list! I hope you find some of these suggestions helpful. My sister told me about a new TV series (well, new to me!) called The Generations Project, and I read a post on their blog about Geography. This reminded me of another tip I should share with you -- using maps in genealogy research! Ten years ago (tomorrow, actually, happy anniversary honey!) I married an Englishman, and found I had a whole new line of genealogy to research, from scratch, and having never researched England genealogy. No one had ever attempted his family history, so I set about doing it. While I was researching I would ask him numerous questions such as, "Is Youlgreave close to Doncaster?," "Is Balby in Yorkshire County?" I soon learned how much my husband DIDN'T know about his own country, so I was on my own. Also, I love using Google Maps to check/correct the spelling of town names with their helpful hints such as: "Did you mean Plaistow instead of Playstow?" I have always loved maps and still to this day read a map as we are driving to vacation destinations (I love to read about nearby historical sites, etc.) By including map research in my genealogy over the years, I think I can claim to now know more about England's geography than my husband does! *AniMap: Finds old towns and counties long-since disappeared from the map or that have changed names. AniMap displays over 2,300 maps to show the changing county boundaries for each of the adjacent United States for every year since colonial times. I have such an old version of this software, but I did find that Legacy.com is now selling it here. How many times do people have self-imposed road blocks in their genealogy simply because they refuse to question whether a family story is fiction or truth? "It is quite common to hear family legends and lore which have been passed down through the generations like heirlooms. However, the difference between a normal heirloom, such as a valued piece of jewelry or furniture, and a family legend, is that the latter tends to be changed over time: to become more colorful, more elusive, less plausible. In many family legends, if not most, there will be a kernel of truth, and it is the job of the family historian to work through the accumulated layers of elaboration and embroidery to uncover that truth." This happened to me in my line, but I happened upon a goldmine when I wasn't even searching for it. Instead, the goldmine I found dispelled the family folklore and forever shocked our family about the truth of one ancestor. (See these two articles on my other blog, Jirene's Genealogy Treasures: "Samuel Gordge: Drowning Myth or Death by Shark?," and "Merab Hancock Gordge Petitions the Governor of Australia for Assistance following her Husband Samuel Gordge's "Drowning.") 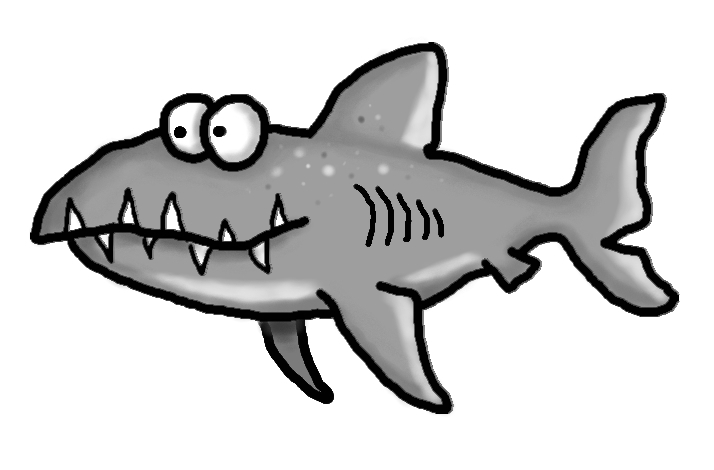 Maybe you too have a sorrowful story about an ancestor "drowning," when indeed he died by shark bite after pillaging goods from his ship and leaving others stranded. To this date, some cousins refuse to accept the truth even when faced with actual historic documents disproving the myth. FamilySearch.Org: All Under One Roof "Later This Year"
I was in the middle of preparing an article on the different search results you can expect when using the three main search sites offered by the Church of Jesus Christ of Latter-day Saints (LDS), when they go and publish an article squelching the need for my article! I was not offended (don't get me wrong! ), but pleasantly surprised. The LDS article (published in the July 2010 issue of the Ensign) is entitled: "Updated FamilySearch.org to Bring New Features Under One Roof," by Breanna Olaveson, Church Magazines (see link below). I had known that the Church was someday going to merge all of these together, and it appears as if they will be doing so "later this year." Simplify family history work (saves you time when all sites are located under one roof, with one login). Families have one place where they can collaborate on their ancestors. Newbies can get started quickly and make meaningful contributions without a lot of training. New image viewer allows users to search digital images of microfilm and view them like a microfilm reader, but without that hand crank and the dark room. Search results will include scanned primary source records, but will also return information from secondary sources (Ancestral File, Pedigree Resource File, Forums, the Family History Library Catalog, and other sources). Search results can be sorted by Record Type -- Birth Marriage and Death, Census and Lists, Military, Probate and Court, Migration and Naturalizaiton, and Other. In time, they hope to notify users when certain information of personal interest is edited or added. Lots of learning/educational tools will be available under one tab entitled "Learn." Read the article here July 2010 issue of Ensign (p. 74). Will you be able to perform batch number searches? I have yet to discover a way to do so (on the fsbeta.familysearch.org site), but I am hoping this feature will be available. Currently the fsbeta.familysearch.org also gives you indexes for records located on other websites, but also gives you the link to the website to go and view the images with the "fees may apply" disclaimer (i.e. findmypast.com). I am hoping that the Church and findmypast.com could some day come to an agreement to offer free links to the images too (I can dream, can't I?) TIP: findmypast.com's images are available free at the LDS Family History Centers through its Portal (see previous posts of mine). Some "hits" give you just the indexed record but does not link to an outside website (like findmypast.com). Nor does it tell the user where to go to view the original. It does provide you the batch, record, film and reference numbers, however, newbies may not know to use that information to order the microfilm to view at one of the many LDS Family History Centers. While researching an expert witness in my "real" (paying) job, I did my usual Google search and found that he had written a book and had also created a personality profile test. However, Google would not dig further for me and find these two items. So, I decided to expand my search using other search engines. I have known about bing.com, yahoo.com, dogpile.com, webcrawler.com, etc., but most returned the same search results. However, when I googled the term "search engines," I came across a search engine comparison chart prepared by Berkeley University. It highlighted their preferred top three search engines, two of which you are aware (google.com and yahoo.com). However, the third search engine I had never heard of: Exalead.com. Exalead.com not only found some of the same similar postings, it found two videos that were not listed via normal search engines, and it also listed a few more sites that I am anxious to review. Now - how does this relate to genealogy? If Google didn't give you any good results, try another search engine! As always, with any of these search engines use the basic Google shortcut tips when searching: quotes for phrases (i.e. "Samuel Gordge"), minus sign (-) to exclude a word, plus sign (+) to include a word. (See my Google search tips in previous posts). Last word of advice: Run your check again in another 6 or 12 months; you never know what will be added to the wonderful world wide web! You Could Be Related to Kings, Queens and Presidents! You've read stories about how Brad Pitt is related to President Obama, and you ask yourself, how do they do that? Here's an answer -- through BYU Digital Roots. I happened upon this website in 2006, and it still has only two services thus far: OnePageGenealogy, and Relationship Finder. I am going to focus on Relationship Finder, because I found it to be the most fun. Relationship Finder (now called Relative Finder) does exactly that -- finds relations between people using an "Ancestral File Number" (AFN). It will find if you are related to famous and historical people, and it can even find out if you are related to your neighbor or your spouse! Yes, that could happen -- as it did for my Mom and Dad (distantly related, of course!). One caveat: You must start with an Ancestral File Number (AFN), and the Relative Finder is only as good as the information contained in the Ancestral File. Where do I get an AFN number? Ancestral File is one of the original databases available via www.familysearch.org. Ancestral File was user-submitted files collected for many years, and each individual was assigned an AFN number. It is that number that you will use to perform the Relative Finder. How do I find an Ancestral File Number for an ancestor? Go to www.FamilySearch.org and click on the Advance Search. Select "Ancestral File," and perform your search. You might have to search several different family names to see if you can find a relative in the Ancestral File. Once you find an AFN number for an ancestor, try inserting into Relative Finder and see if they can connect you to anyone. Sometimes Relative Finder might not have a connection for the name you entered, so try entering another name. I never knew that my grandmother had royal grandparents, nor that she was 6th cousin 11 times removed to William Shakespeare! Don't be discouraged if you can't find an AFN number of a relative, or the AFN number you do find does not produce any results under Relative Finder. BYU Digital Roots has plans for a new version of Relative Finder that will work with the new ID format of the new.familysearch.org site. And, they are also advertising that Relative Finder will also be available in Facebook. I hope that is soon! This is a fun little tool that will impress your kids and extended family members. Give it a try! I thought you'd also like to see "modern medicine" at its best in 1967 (the photo). Can you imagine being casted from head to toe, with a metal hook on the top of your head? 2. I also didn't know my grandmother had a house fire - caused by a heating pad. 3. My most amazing find of the day was with regard to - of all people - ME! I remember being struck by a car when I was a child, but I had no idea it was reported in the paper. I also learned for the first time that the accident happened the day after Christmas, and that it involved a hit-and-run driver. I also found it amusing where my accident was reported: in the last paragraph of an article about a more serious accident. (Note to self: don't just read the headlines. Luckily these newspaper articles were stored as searchable PDFs, so it make finding names on the page very easy.) I also learned a new word: Bracero ("A Mexican laborer permitted to enter the United States and work for a limited period of time, especially in agriculture."). I have searched newspapers before, but only searched those "famous" relatives in my line. I had no idea what information could be found on the "not-so-famous." I am looking forward to searching this site again (and other newspapers) to see what else is out there. Who knows what I'll find?! Why am I posting about Facebook privacy settings on my genealogy tips blog? I love using Facebook for genealogy too. Facebook has become a wonderful way to keep in contact with all of my extended family, and is a great place to share family history. I can't count the times when a niece or nephew has said, "I didn't know that about 'so and so'....." Facebook is a great way to share your genealogy with the younger generation. However, Facebook has made some privacy changes lately. One of my uncles (who was very new to Facebook) decided to drop Facebook because he was fearful of the privacy issues. I believe Facebook is far too valuable to just drop it, and I've found you can still have a great Facebook experience -- so long as you properly lock down your privacy rights! I came across a great tool that will help check your Facebook to see what you are sharing with others. This tool scans your Facebook profile for privacy settings and tell you exactly what others can see about you. This free tool is easy to install (just drag and drop as a "bookmark" to your internet browser). You first have to log on to Facebook, then you can click on the button to have it "do it's thing." It is called ReClaimPrivacy.org. The Wall Street Journal, Forbes, and PCWorld recommend this site. I learned of this tool from Kim Komando, a computer guru from the Phoenix area who has a nationwide radio show. Here is Kim Komando's article on ReclaimPrivacy.org if you want to read more about it. Her website is: www.komando.com, and I trust it implicity. In fact, I go to her site for all things computer-wise! Bottom line is - I am going to continue using Facebook, and you can too -- so long as you properly lock it down! P.S. After I tested my Facebook settings using this bookmark, I removed it (just to be safe!). On Saturday I was at my local Family History Center trying to find more information on a gentleman who died in July of 1970 in Phoenix. Basically - I need his obituary so I can learn more about his family and where he hails. I thought - check the databases at my local public library (Phoenix Public Library). It referred me to a local Family History Center (Mesa Regional Family History Center) which maintains a database called AZObits. What a wonderful resource! I found the obituary I was researching (well, information that one exists - not the complete obituary), along with the newspaper where it was published. Now - to find that newspaper and see if the July 1970 issue was in an online database. I searched and searched to no avail. I eventually wound up at NewspaperArchive.com and they indeed had my newspaper, but I really didn't feel like paying for a membership just yet. And, I am not really interested in making a trip to the Phoenix Public Library to look at microfilm (I want it ALL online NOW! I can dream, can't I?) Well, I gave up for now and left my little Family History Center to save this search for another day. Little did I know that my library had free access to NewspaperArchive.com through another website. While researching tonight I found an article on the 10 Great Pay Sites - Genealogy Websites. I saw Godfrey Memorial Library on the list, and I discovered that Godfrey offers access to NewspaperArchive.com (via paid subscription). (Best part is -- Godfrey offers library subscriptions to anyone!) I considered subscribing, then I remembered: Hey! My local Family History Library allows access to Godfrey Memorial Library for free -- AND its link to NewspaperArchive.com (also for free!) -- through its FHC Portal! Needless to say, I can't wait to return to my local Family History Library to start researching this rich source of material. And, a lesson learned -- learn what is available to you in your own local family history library!